Regardless of whether you’ve been a designated driver, trying to stave off a hangover, or simply abstaining from alcohol altogether, your options in most bars have long remained limited. At best, there might have been a token, tasteless non-alcoholic beer or a sickly, maraschino-topped Shirley Temple on the menu. Chances are high you would have gone to most people’s safe option: quietly ordering a soft drink or a club soda with lime. 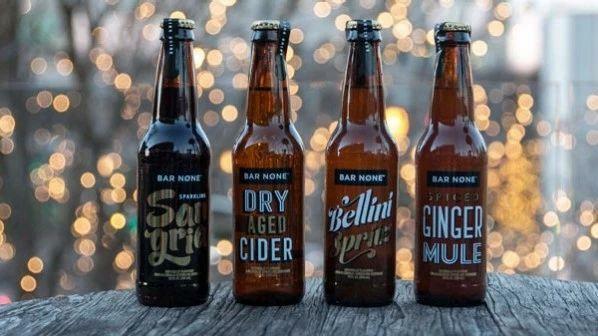 Enter BAR N?NE, a line of beverages from Tandon and the team at Coca-Cola designed to loosely approximate drinks like dry hard cider and gingery Moscow Mules. Unlike Coke, Pepsi, or other soft drinks, which can leave you jittery at the end of the night from all the caffeine and corn syrup, these beverages claim to err on the tangy side rather than sweet. They still pack a reasonable dose of cane sugar, but the goal is to be better suited to slowly sipping over the course of an evening in a bar. In a way, it’s surprising that it’s taken this long for more non-alcoholic options to crop up. It may feel like everyone’s out getting sloshed when you’re teetotalling, but studies have consistently shown that those numbers are lower than you may think. Thirty percent of American adults don’t consume alcohol at all and a sizeable percentage of those only have a few drinks a week. If anything, that number is expected to drop, as wellness-conscious Gen Z-ers continue to drag down overall alcohol consumption rates.